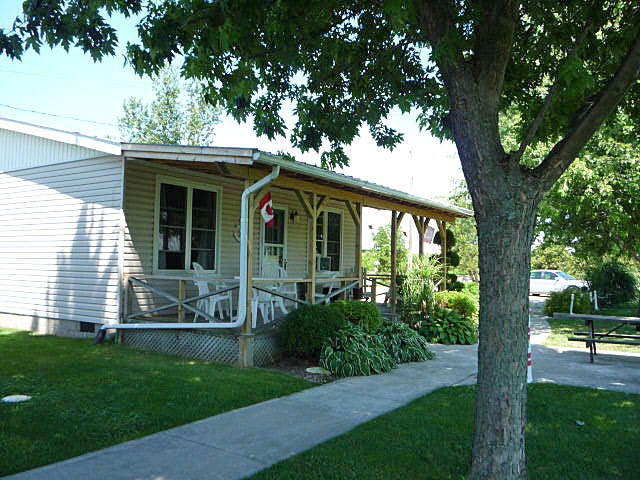 Cottage 1 is larger than a hotel or motel room sleeps 4, is newly renovated with upgraded furnishings, fully equipped 2 bedroom cottage or cabin offering 2 double beds(new mattresses). It is located closest to the main road but has the best side view of the lake from the front deck. All our cottages, cabins have air conditioning, satellite TV, large decks, cement walks, cement patio, fire pit, picnic table and charcoal BBQ. All have views of Lake Erie and offer access to our shoreline. We are only 2.5 miles east of Port Dover, Ontario. Canada. Unfortunately we are no longer pet friendly and fully smoke free.